Bocca Felice: Jan/Feb Class Dates! January CUMC Cooking Class dates and descriptions have been posted! Please click on the Monthly Classes tab for details. And don't forget that you can preview the year's program list by visiting the 2012 Goals/Schedule tab. You can also follow our Bocca Felice Board on Pinterest, that posts a collection of health tips, recipes and printable pages. 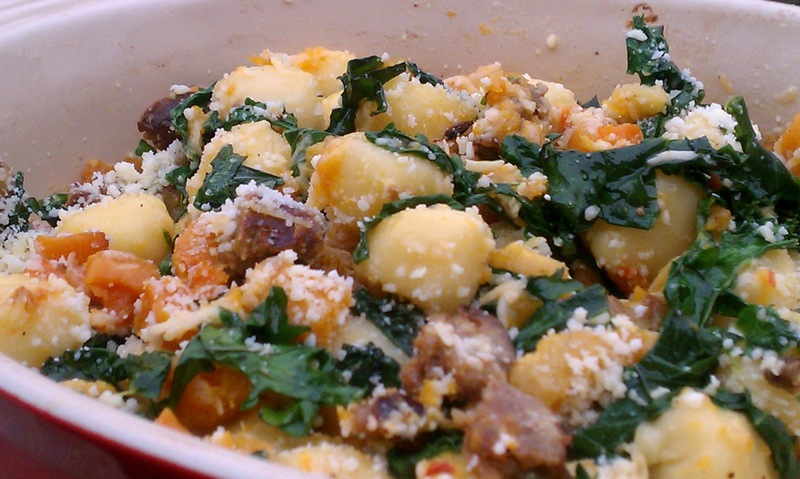 Be sure to visit our Recipe Box this month for the recipe to this scrumptious seasonal dish: Butternut Squash and Kale Gnocchi!